I’ve always seen sport as a great equaliser. When I came to the United Kingdom 15 years ago I was looking for someone to give me a break. When I showed up to my local boxing gym in 1999 I was welcomed with open arms. It didn’t matter that I was an outsider. My background wasn’t important. It didn’t matter if I was rich or poor. People liked and respected and encouraged me just for being there. 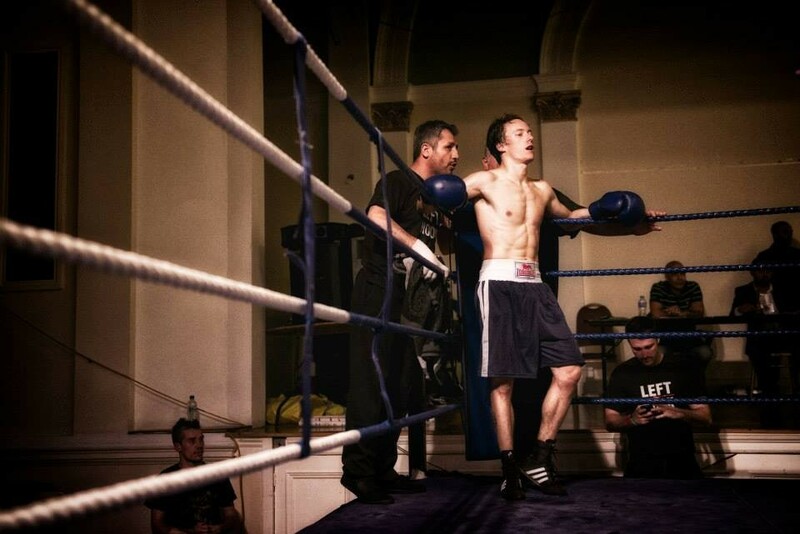 I went on to compete to a fairly high amateur level - even fighting in a national semi-final - but I know boxing has given me so much more than just athletic achievements. Boxing helped develop me into the person I am today - a person with principles, with discipline, with people skills and a determination not to let myself or my family down. The opportunity to pass this on to others is what has kept me involved in the sport over the last 15 years - I’ve been an athlete, a coach, the guy that sweeps the floor, the guy that opens up at 6am. More recently I’ve also had the privilege to be a gym owner. I still get a huge buzz out of seeing kids walk through our doors - many of them struggling to find their place in the world - and, over time, undergo a transformation. Many of them have so much energy, enthusiasm, even anger without any real outlet. Boxing - and other combat sports - not only gives them that outlet, it helps them find the acceptance and respect they crave. otherwise have. For some it will help them become a competitive athlete and let them follow in the footsteps of their sporting idols. For others, it will give them the confidence, connections and skills to succeed in a sometimes tough world. I always think that if we’ve changed the destiny of one person then what we are doing has been worth it. Because of this in 2011 I went on television here in the United Kingdom and stated my intention to open a whole chain of boxing gyms. But since then my plans have changed. I know mine isn’t the only gym providing these opportunities. There are people all over the world who catch the combat sports bug for the same reason I did. I wanted to create a tool that no one else had made, something to help those people who give everything to their sport and expect very little in return. Hundreds of people give thousands of volunteer hours every year to make their sport work. Those hours are precious. They shouldn’t be spent on spreadsheets and logistics and trying to set up matches. Nobody gets involved in combat sports to get bogged down in administration. I wanted to create a system that allowed those volunteers to spend more of their valuable time working with athletes by taking the hassle out of logistics, admin and matchmaking. Boxing has given me so much. It continues to give others so much. And now MyNextMatch is part of making that experience better for everyone involved in combat sports. I really believe you will love using it - whether you’re an athlete, coach, club owner, doctor, referee, or federation official. Come and join what we’re doing today and be part of the future of combat sports.